US based bank accounts are not supported due to a number of regulations in the States. Submitted US-based bank accounts will be declined. Deposits made from USD banks will be returned with fee deducted into the amount. 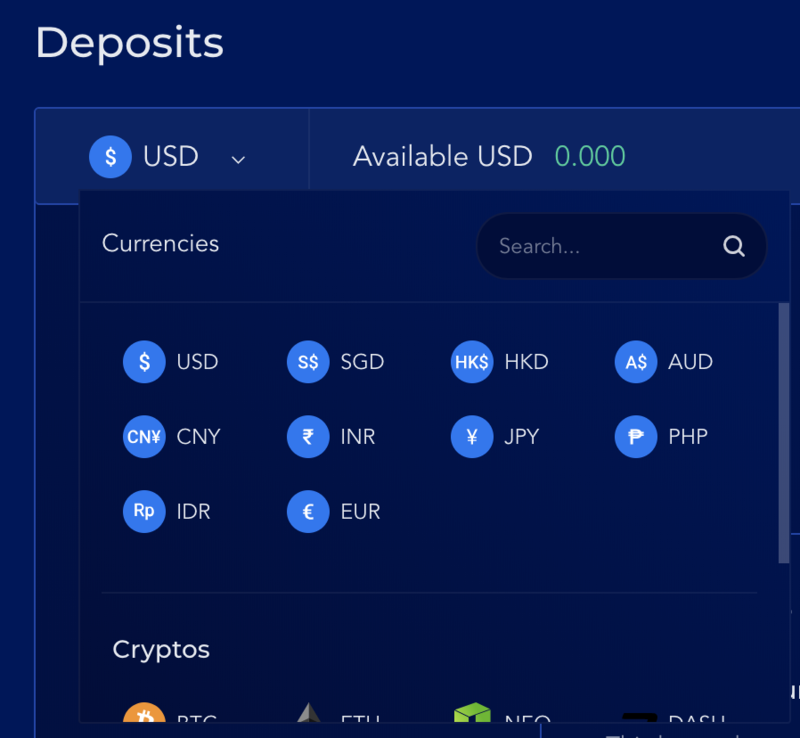 Select the currency (token) you want to deposit to your Liquid account from the drop-down menu right under the Deposits header. Click Get Started on the next screen. Fill out all fields displayed on the dashboard with your bank account information. 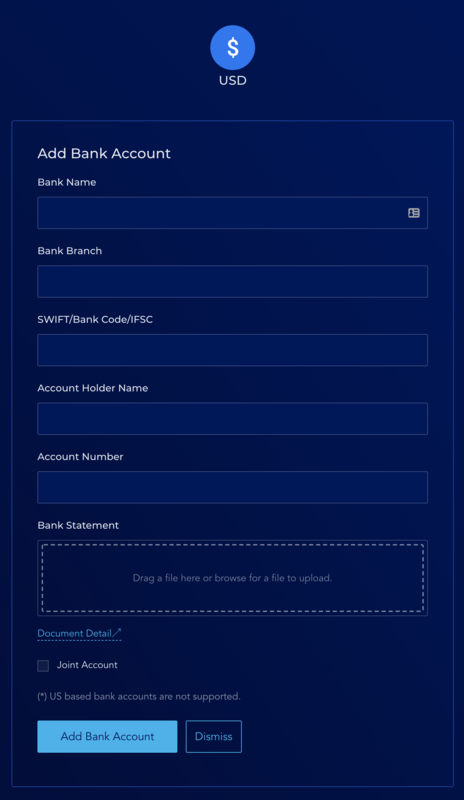 Bank Name: use the correct/full bank name as indicated on your bank statement or by the SWIFT code. Bank Branch: use "Head Office". SWIFT/Bank Code/IFSC: For Indian bank accounts, please use the SWIFT (instead of IFSC) since it is not a local transaction. Account Holder Name: the name of the individual/entity who owns the bank account. Account Number: use full number of your bank account. Use the IBAN if your bank account is based in SEPA countries, Ukraine, or United Arab Emirates. Bank Statement: a bank-issued statement that is no older than 3 months and contains at least bank name, account name, and account holder. Electronic/digital statements are accepted. PDF format is preferred. If your bank account is co-owned by another person, please tick the Joint Account checkbox to provide this person's ID document. This is for KYC purpose. As warned above, US based bank accounts are not supported due to a number of regulations in the States. Click Add Bank Account to save.